When it comes to criminal defense in New Mexico, you deserve the best of the best. The Law Office of W. Shane Jennings is the top choice for people in the Southwest. Choose our highly reviewed legal team. When it comes to criminal charges, you must team up with a local attorney. Please write a review about our law firm so others can know what to expect. Criminal defense cases require care and precision. We’re a reliable, hard-working criminal defense firm. The Law Office of W. Shane Jennings is ready to help. If you’re facing criminal charges in the state of New Mexico, the Law Office of W. Shane Jennings can help. Your rights deserve protection and we can provide that and much more. With our assistance, you won’t have to fend for yourself in criminal court. As a dedicated criminal justice attorney, W. Shane Jennings will represent you and your case to the judge and jury. Mr. Jennings has thousands of hours of courtroom experience and is ready to take on your case. Although they are considered to be less serious than felonies, misdemeanors still require those charged to seek legal assistance from a reputable criminal justice attorney. Misdemeanors are divided into two distinct categories: petty misdemeanors and misdemeanors. As its name implies, the “petty” category is made up of the less-serious crimes. These crimes tend to be punishable by jail time and/or fines of up to $500. The “misdemeanor” category, on the other hand, focuses on the more serious offenses. As such, these crimes can lead to fines of up to $1,000 and/or one year in jail. Convictions for misdemeanor crimes must be taken seriously, even if misdemeanors are known as the “less serious” crime. Larceny, for example, tends to be considered a misdemeanor. If the amount of property stole exceeds $500, the crime will be considered a felony. Aggravated burglary, on the other hand, is categorized as a second degree felony due to the use of a deadly weapon or the act of committing a battery. Many factors are at play when it comes to determining the categorization of the crime. Although misdemeanors may seem less serious than felonies, the latter can still become part of your permanent record. 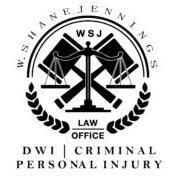 If you’ve been charged with a misdemeanor, the Law Office of W. Shane Jennings can help. Felony crimes, such as murder and aggravated burglary, are considered to be much more serious than misdemeanors. If you’re facing felony charges in the state of New Mexico, you must seek legal assistance from an experienced criminal defense lawyer. W. Shane Jennings is a criminal justice attorney whose promise to you is that he will defend you as if you were his own family because he cares about you. His word is his bond, and he will keep your secrets. He will look at all of the things that an accuser has said about you and take them on. When you become a client of the Law Office of W. Shane Jennings, you will receive the defense you deserve. This way, you won’t have to face the burden of knowing what to say and when to say it. Mr. Jennings will use his skill and care to fight for you. He will not let the other side rest until justice has been done. As a trial lawyer, W. Shane Jennings is especially ready for criminal law. W. Shane Jennings, Attorney at Law, is ready to guide and advise you on the law every step of the way. You will never be alone. The Law Office of W. Shane Jennings handles criminal cases throughout New Mexico. Greet you in a friendly way. Make a plan on how we will attack your case and explain it to you. Keep you up-to-date on your case. Earn the money charged to you. Keep our conversation confidential and only talk about your case to other people on a need-to-know basis. Fight for the best outcome possible. Any results not shown are because there was no outcome under attorney Jennings. 10-minute return of jury acquittal. Dismissal for violation of due process after the defendant was held for more than 100 days without an arraignment on a felony case. Around 14 cases set for trial; only two went to trial; 12 were dismissed. Motion to compel production of evidence and subpoena of the officer to explain why evidence was missing – resulted in a dismissal of the case. Hung jury on a two-count felony sexual penetration on a minor case. If you require legal assistance from an experienced criminal justice attorney, contact the Law Office of W. Shane Jennings today. We are available 24/7 and can provide free initial consultations over the phone. Don’t face your criminal charges on your own.